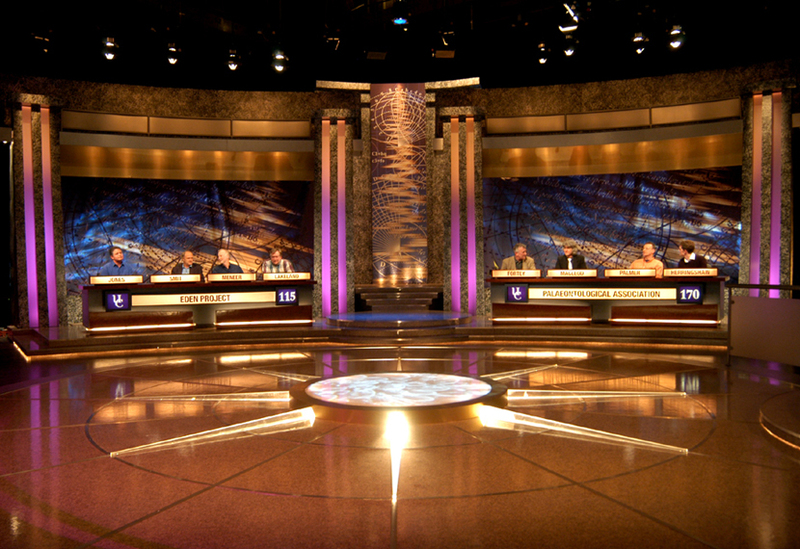 The set included four columns with backlit details and two headers to create backdrops to the contestants’ desks, along with Perspex panels with graphics hung in front, a digitally printed backdrop and central upstage backing panel. 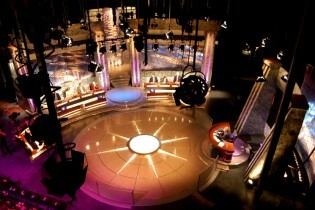 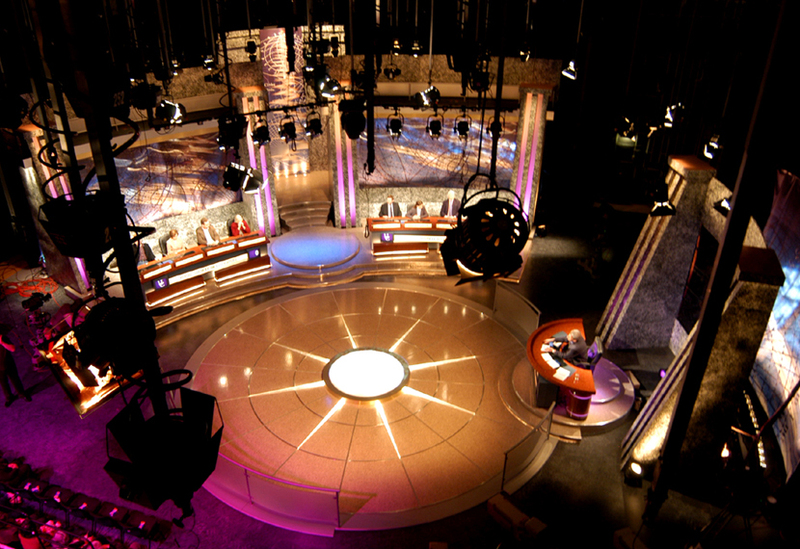 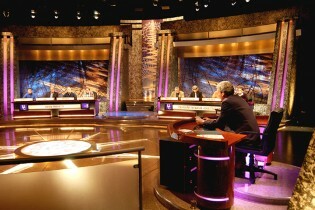 Monitors and name panels were inset into raised contestants’ desks. 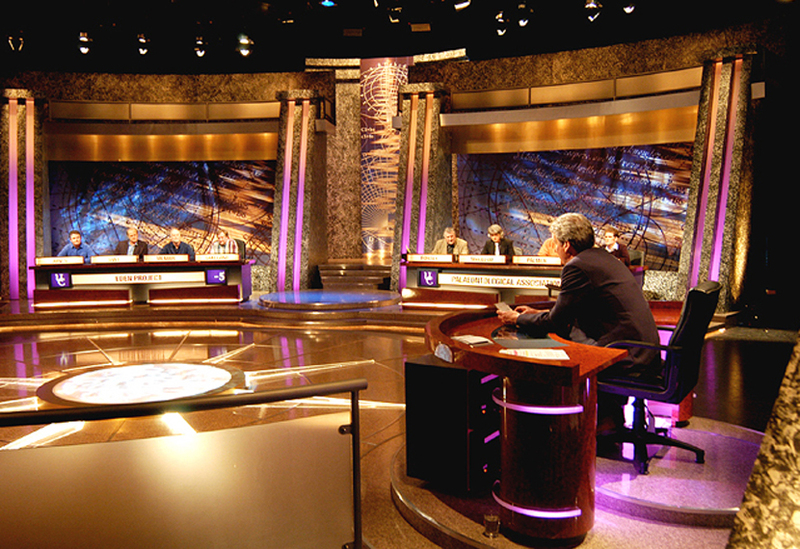 We also created the presenter’s desk and podium and a central floor-mounted raised lightbox with light running down the radiating Perspex arms.